In this powerful and highly focused 12 part self training program, Silvia Hartmann explains exactly and concisely how you can make affirmations that work exactly like magic spells to create YOUR reality of choice. From strikingly simple exercises for absolute beginners, to the amazing Super Magic Affirmations and the Vega Pattern at the other end of the scale, this concise treaty will give you the tools to make affirmations finally come to life, and really start to WORK FOR YOU! 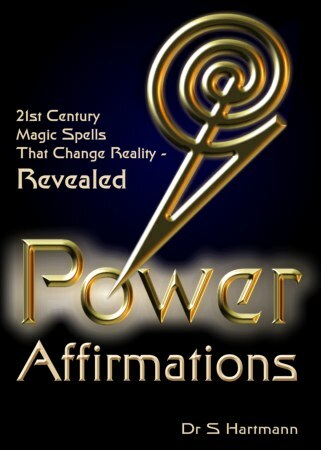 Power Affirmations is now available in the GoE Members Library. 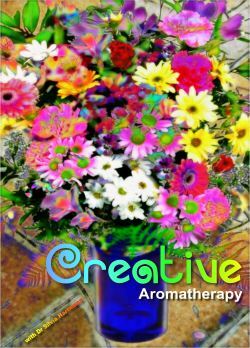 "I have been fascinated by the concept of affirmations since I first came across it, many years ago. "The idea of being able to say something, and then it comes true, has very much intrigued me; it sounded to me like a magic spell, but a modern version without the demons, convoluted rituals and all that religious baggage." Silvia Hartmann writes: After some decades of research on the topic of affirmations, it is clear to me that a real affirmation is nothing more, and nothing less, than a magic spell. An affirmation is a statement of intent, delivered with power, that becomes inscribed into the fabric of reality and which is HEARD - by many. How clearly this affirmation, statement of intent, is heard, depends on how it is delivered. How far it reaches, and how CONVINCING it is to those who hear it that it is REALLY the will of the person who makes the affirmation, lies at the heart of the practical skill to make affirmations work. Compared to the downright crazy, convoluted and bizarre rituals involved in ceremonial magic, which are laden with the huge disturbances of the ages, and of their originators, most of which were more than half crazy on their best of days, affirmations offer a CLEAN and DIRECT route to reality creation where the results are simply, up to the person who makes the affirmations. With affirmations, we are speaking to "the powers that be" - WHOEVER these powers may be. I use this term of "the powers that be" to not prejudice or exclude ANY helpful aspects or entities who can and will come forward and make it happen - create the desired shift in reality, the change that is being sought. In my opinion, the powers that be very much include a person's own energy mind - previously known as the unconscious or subconscious mind - but also potentially others, and higher forces at that. When an affirmation is being created, an individual makes their will known to the Universe at large. That's an amazing, powerful and if you think about it, a VERY SIMPLE thing indeed; it is very direct, and it has no need whatsoever for intermediaries, priests, teachers, ancestors, or even to know who your guardian angels are, or come up with some convoluted system to capture the appropriate demon who will go out and do your bidding. ... and what makes the difference between a fleeting thought that never gets anywhere and a powerful statement of intent that changes reality forever is a grand conjunction of will, feeling, circumstance, and energy. Making powerful affirmations and having them AFFECT REALITY to bring about change is a Creator-given human right, and an ability we are all born with. It makes magic easy and has many other benefits besides; from focusing the mind on what we really want, defining goals, and making decisions on one's own reality, to learning to keep thoughts under control, to spot negative states having being entered which result in negative thinking, cause and effect; and to learn to work with and to raise energy. The practice of affirmations is a very wonderful, very SIMPLE pathway to DIRECT COMMUNICATION with the Universe at large. 21st Century Magic Spells That Change Reality - Revealed. for real magic, real reality creation - IN THE REAL WORLD. "Giving you POWERFUL NEW tools so YOU can take control of YOUR World."